The Sun News Nigeria has released video evidence of the shocking moment a sales clerk, Philomina Chieshe, in the Makurdi, Benue office of the Joint Admissions and Matriculation Board (JAMB), told Board auditors that a snake sent by her maid swallowed N36 million in cash from the sale of admissions' scratch cards over the course of several years. Watch below. 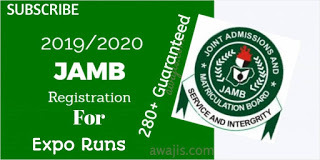 0 Response to "Shocking video of Jamb clerk, Philomina Chieshe, telling auditors that a snake mysteriously swallowed N36 million"